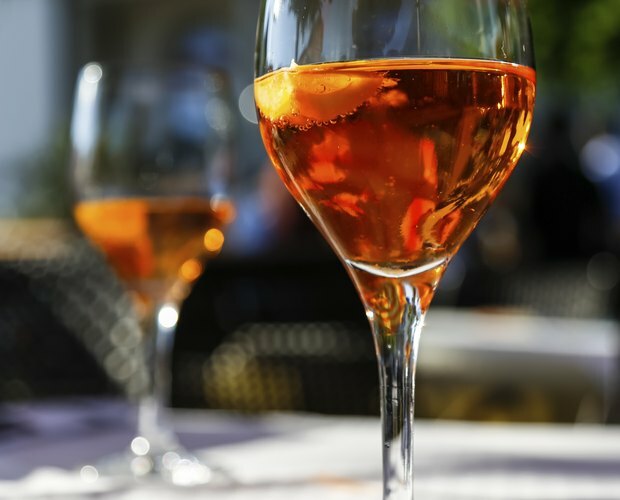 Orange wine is a light, refreshing and fruity libation that can easily be made at home. You can make this tangy wine using a variety of oranges including navel, Valencia, blood red and mandarin. 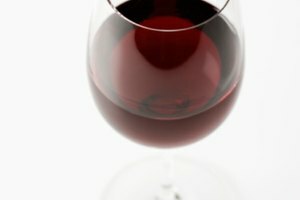 According to Grit magazine, the secrets to successful fruit wine are to use fully ripe, quality fruit and to keep your wine-making equipment clean and sanitized. The ratio of oranges to sugar will depend largely on the sweetness of the fruit. If your oranges are quite tart, then additional sugar will be needed to balance the acidity of the juice. In addition, the amount of oranges that you will need will also depend on the type you are using and how much juice each orange yields. In their article Citrus Wine, Wine Maker magazine suggests the proportion of 2.5 pounds of sugar to 1 pint of freshly squeezed orange juice. Wash and dry the oranges, then slice them in half and remove any seeds. Using a juicer, extract as much juice as possible from the pulp. You will need a clean food-grade plastic bucket to use to mix the ingredients. You can sterilize the bucket by crushing a campden tablet into water and using it to rinse the bucket. Alternatively, you can wash the bucket with a few teaspoons of baking soda dissolved in water and rinse well. You will need to add a few elements to the orange juice to enhance the flavor, sterilize the liquid and ferment the juice into wine. Pectin enzyme will ensure that the sugars of the fruit are broken down and will not coagulate. 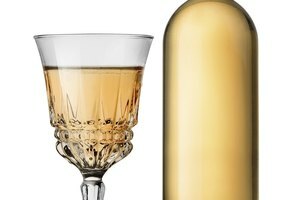 Tannin powder will mimic the substance found in red grapes and add a deeper flavor to your orange wine. Campden tablets are used to sterilize the juice by emitting a mild sulfur gas. For the next 24 hours, the gas will leave the mixture. 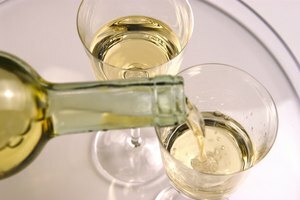 It is then possible to add the white wine yeast or champagne yeast to the mixture that will create the fermentation process. You will also need to add a yeast nutrient that acts as a booster. Pour the freshly squeezed orange juice into the bucket. Add the sugar, a teaspoon of the pectin enzyme, a quarter teaspoon of tannin powder, a crushed campden tablet and a half teaspoon of the yeast booster. Fill the bucket with boiling water so that the entire mixture is equal to 1 gallon. Stir the liquid well. Cover the mixture with a clean cloth and allow it to sit for 24 hours. Then sprinkle the yeast over the top of the mixture. Cover the bucket with the cloth and allow the liquid to ferment for 7 days. 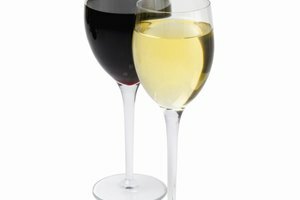 After the wine has started to ferment, you will need to strain the mixture and transfer the liquid to another container. This process, called “racking,” will help to remove any sediment that has gathered on the bottom of the container, which could potentially ruin your wine. This is also known as “clearing” the wine. Using a clean rubber hose or a plastic siphon, transfer the liquid to a sterilized gallon jug. If necessary, you can add additional water to have a full gallon. Secure the jug with an airtight top. Repeat this process in 3 weeks to ensure that your wine will be clear and particle-free before bottling. Siphon the wine into sterilized wine bottles and top them with real corks. The corks can be softened by placing them in a steamer basket over boiling water to make it easier to push them into bottles. Place the bottles in a wine rack in a cool, dark and dry location. 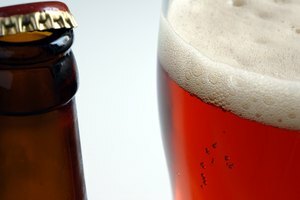 Allow the bottles to age for at least 3 months before drinking.